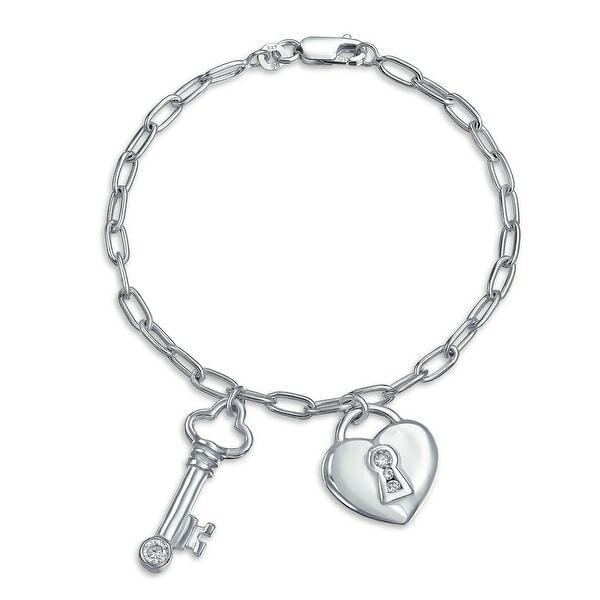 This Charm Bracelet is made of solid 925 sterling silver. It measures 7 inches in length and has a delicate feel. Both of its charms - a heart-shaped padlock and a key - dazzle with magnificent CZs. It features a lobster claw clasp for maximum functionality. Your love can be secure and fashionable at an affordable price.